Nearly 1,40,000 leaders were arrested during this period. Of this, around 40,000 were from Sikh community. Even some of the senior leaders were handcuffed (See photo of George Fernandes in a handcuff). Sycophants surrounded Indira Gandhi. Many excesses were committed. Sterilizations were done forcibly. Huts were removed through police force. Many officers were 'more loyal to the kingdom than the king himself'. 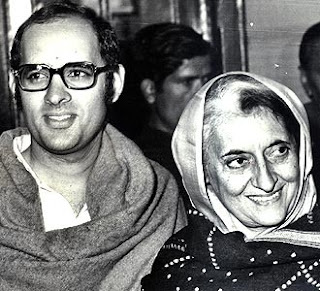 Indira Gandhi's son Sanjay Gandhi was accused of all the excesses. (Now Sanjay Gandhi's wife Menaka and son Varun are in BJP). press censorship. Only Doordarshan and All India Radio were giving out Government based news. Print Media had to show their news item to the Censor Officer in all the Regions to get approval. Hence, the people were not getting correct information. Only handful of papers showed courage at that time. We have to appreciate the courage shown by Indian Express and Thuglak (Cho Ramaswamy) at that time, to fight against the emergency. 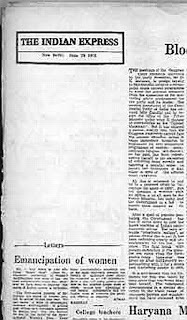 Indian Express as a mark of protest against ‘censorship’ published a ‘blank editorial’. 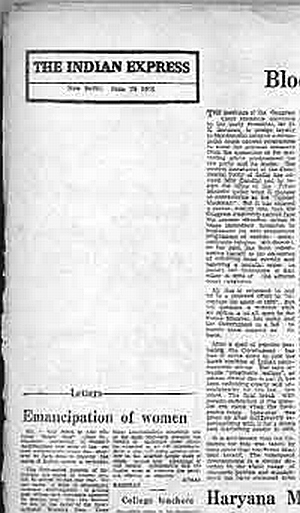 Through this ‘blank editorial’, they conveyed a powerful message to their readers, more than what could have been communicated through a well written editorial. When the papers were asked to bend, many of the national papers started crawling. Historically, the so called 'big brands' of today, crawled during the emergency days, to save their skin. Dr Subramaniam Swamy was a Member of Parliament then. The Government wanted to arrest him. Every time, he used to show his head in Parliament and within few hours he would surface in some other foreign country. He was giving a tough fight against the emergency. Rashtriya Suyam Sevak Sangh (RSS) was banned. Their leaders were arrested. Many of them went underground. They were working against emergency in disguise. Even many of the Communist leaders were arrested. On 23rd Jan 1977, Indira Gandhi announced elections to the Lok Sabha. Emergency was lifted on 23rd March 1977, after 21 months. After the declaration of elections, all the leaders were released from jail. When the leaders came out, they did not have money or organisational structure. The workers were also in prison. Four major political parties Congress (O), Bharatiya Jan Sangh, Bharatiya Lok Dal and Socialist party were merged to form 'Janata Party'. 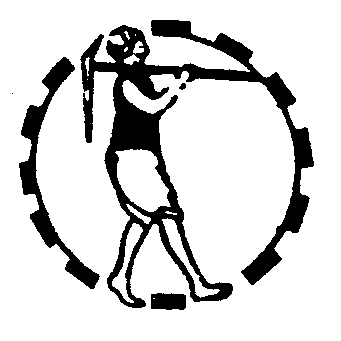 All of them contested under the same symbol of ‘chakra-haldhar’. In the General Elections, Janata Party and its allies swept the polls by getting 330 seats out of 542 in the Lok Sabha. Indira Gandhi could win only in 154 seats, that too in the four states of South India. In the North India, Indira Gandhi got only 2 seats. Both Indira Gandhi and Sanjay Gandhi were defeated. Indira Gandhi apologized for the emergency excesses and atrocities.
) crippling the constitutional powers. But after Janata Party came to power, they reversed all the amendments, to restore the supremacy of the Constitution. (popularly known as 44th amendment). 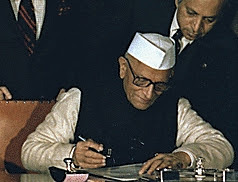 Janata Party formed the Government under the Prime Ministership of Morarji Desai. They appointed a Commission under the Chairmanship of Justice Shah to enquire into the atrocities and excess committed during the Emergency period. Justice Shah also submitted his report in August 1978. Very unfortunately, the Janata Government could not continue for long, due to the internal differences of the leaders. Thereafter, the Janata Party also got split into various parties, like Janata Dal, BJP, Samajvadi Party, etc. Presently, Dr Subramaniam Swamy is the lone leader who remained in the original Janata Party. Now Janata Party is merged with BJP. Indira Gandhi came back to power in 1980. After her coming back to power, all the copies of Shah Commission Report were removed from the libraries, including from the Parliament and National libraries. Not even one single copy of the report was available after that time. In the next part, we will explain as to how the history was suppressed and how regained recently.